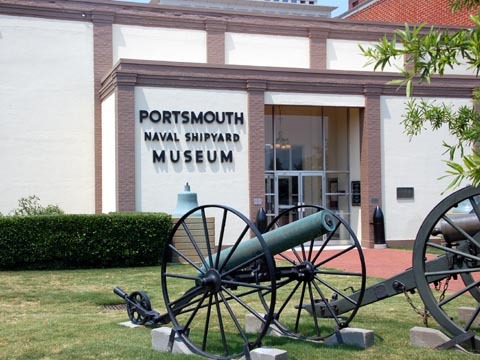 Cannons outside the Portsmouth Naval Shipyard Museum. 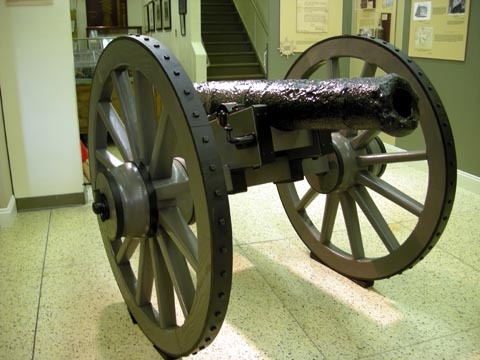 This one, inside, is a British six-pounder recovered from the bottom of the Elizabeth River after Cornwallis' men dumped it there when leaving Portsmouth for Yorktown. 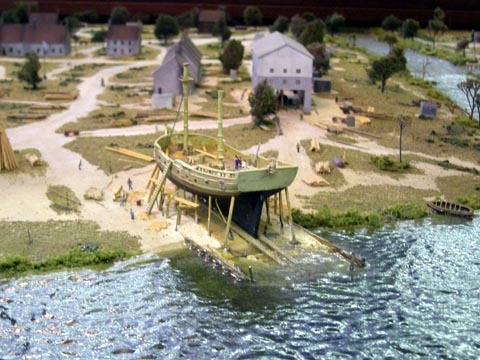 And here is a model of what the museum area looked like a bit after that time, when it was Virginia's largest shipyard. 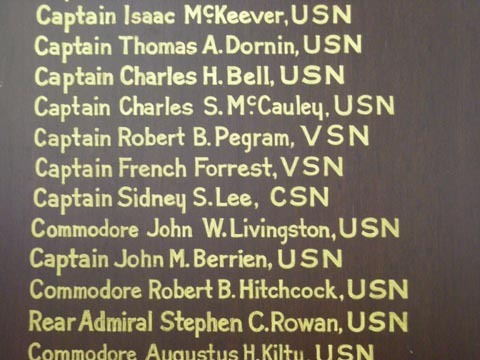 Here is a list of the shipyard's commanding officers from the Civil War era -- United States Navy, Virginia State Navy, Confederate States Navy, then United States Navy again. 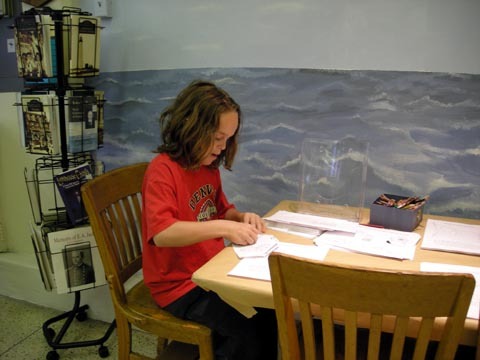 Adam working on a ship design project. The boys outside the museum. 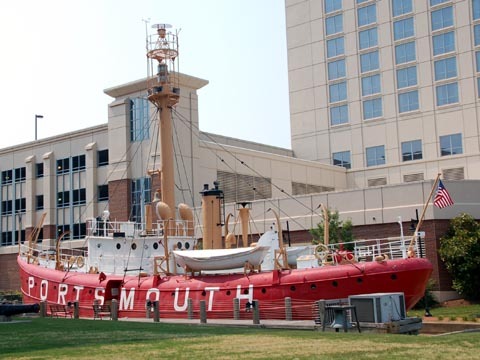 The Lightship Portsmouth, retired in 1964 and since designated a National Historic Landmark, in permanent drydock at the Portsmouth Naval Shipyard Museum. This was formerly the lens of the light aboard the Lightship Portsmouth, built in 1915. 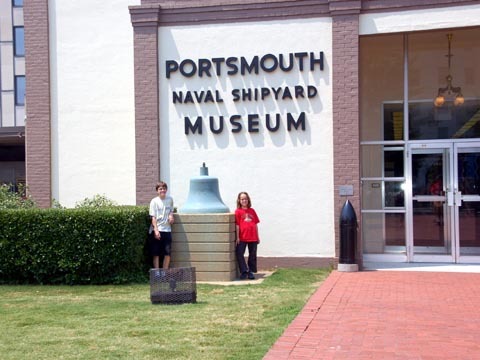 The ship is now in permanent drydock near the Portsmouth Naval Museum. 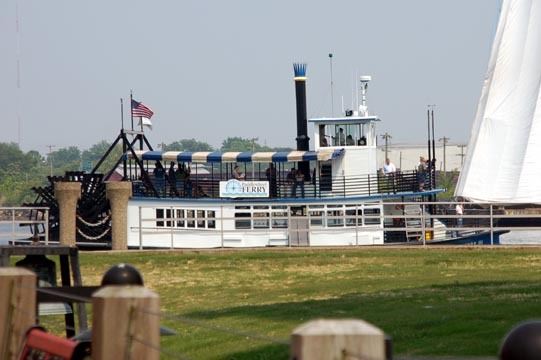 And here is a view from the street side, with a riverboat ferry passing behind the ship in the Elizabeth River. 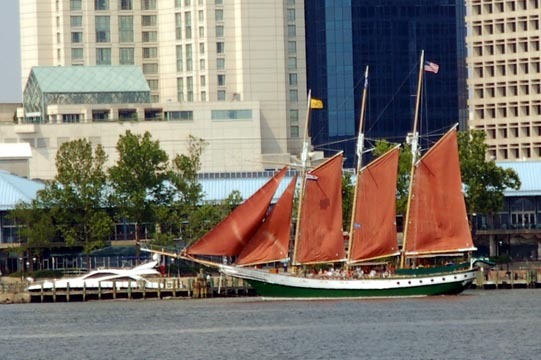 This is the American Rover, a rebuilt cargo schooner that sails out of Norfolk and cruises the harbor near the museum. A paddlewheel ferry passed behind the lightship on the Elizabeth River. Memorial to the Confederate Dead in downtown Portsmouth.